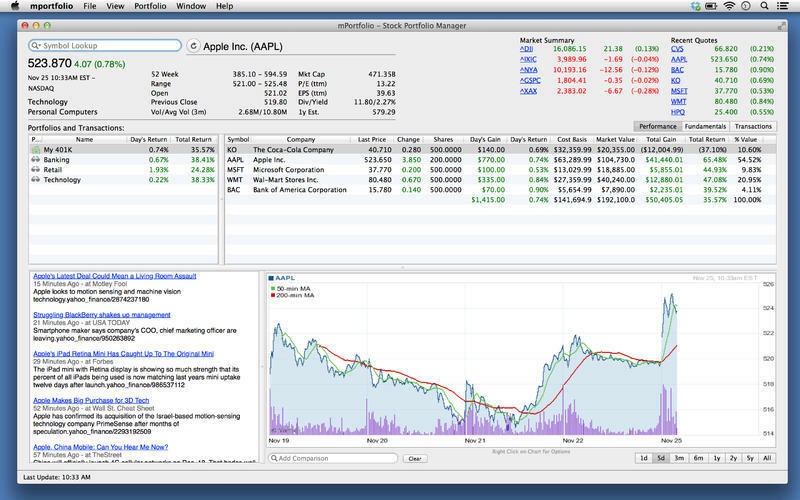 Create, manage, and track stock portfolios. Is there a better alternative to mPortfolio? Is mPortfolio really the best app in Finance category? Will mPortfolio work good on macOS 10.13.4? mPortfolio is an easy to use application for creating, managing, and tracking stock portfolios. It features an intuitive single screen layout that lets you quickly visualize investment performance as well as get details on any given stock. mPortfolio needs a review. Be the first to review this app and get the discussion started! mPortfolio needs a rating. Be the first to rate this app and get the discussion started!